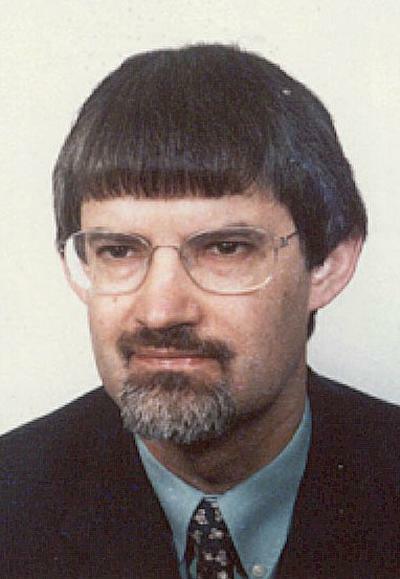 Professor Victor Humphrey is Professor of Acoustics within Engineering and Physical Sciences at the University of Southampton. Victor Humphrey joined the Institute of Sound and Vibration in February 2004 as Professor of Acoustics. He graduated in Physics from the University of Bristol in 1975 and then obtained a PhD in Physics, also from the University of Bristol, in 1981. He then joined the University of Bath as a Research Officer in the Department of Physics and was subsequently appointed to Lecturer and Senior Lecturer posts. He was awarded the Institute of Acoustics A.B. Wood Medal in 1988 and the University of Bath Mary Tasker Award for excellence in teaching in 1996. In 2002/3 he spent a period on sabbatical leave at the National Physical Laboratory, Teddington and at the Defence Research and Development Canada research laboratories in Halifax, Nova Scotia. He is a fellow the Institute of Acoustics and a member of the Institute of Physics and Acoustical Society of America. He has recently joined the British Standards Institution Committee EPL/87 responsible for Standards in Ultrasonics and the Department of Trade and Industry (DTI) Measurement Advisory Committee (MAC) Working Group on Acoustics. Professor Humphrey has particular research interests in the areas of medical ultrasound and underwater acoustics. Common themes running through his research include the understanding and application of non-linear acoustics and the laboratory measurement of physical acoustic phenomena including scattering. His main research interests include: · Nonlinear propagation, streaming and imaging in medical ultrasonics; · Ultrasonic heating and propagation in biological media; · Parametric arrays and their application to acoustic measurements in the laboratory; · Acoustic transmission and reflection properties of isotropic and anisotropic materials; · Scattering from objects and methods of measuring and predicting the scattered field for regular and irregular bodies; · Numerical modelling of transducers and fields. The aim of this work is to investigate the feasibility of torsional guided waves to inspect buried pipes with small diameters. MATLAB scripts have been produced to find the phase and group velocity dispersion curves for lossless plates and pipes of varying sizes and thicknesses. Upon finding the theoretical guided wave characteristics, real world analyses are conducted to determine whether the aim could be achieved in an experimental setup. Humphrey, V. F. (2009). Laboratory applications of truncated parametric arrays (A). Journal of the Acoustical Society of America, 125(4), 2689-2689. Humphrey, V. F., Robinson, S. P., Beamiss, G. A., Hayman, G., Smith, J. D., Martin, M. J., & Carroll, N. L. (2009). Sonar material acoustic property measurements using a parametric array. Journal of the Acoustical Society of America, 125(4), 2717. Cooling, M. P., Humphrey, V. F., Theobald, P. D., & Robinson, S. P. (2009). Transducer characterization by laser Doppler vibrometry. Journal of the Acoustical Society of America, 125(4), 2557. Dodd, S. P., Cunningham, J. L., Miles, A. W., Humphrey, V. F., & Gheduzzi, S. (2004). Ultrasonic wave propagation in cortical bone mimics. The Journal of The Acoustical Society of America, 116(4), 2478. Gheduzzi, S., Humphrey, V. F., Dodd, S. P., Cunningham, J. L., & Miles, A. W. (2004). Ultrasound attenuation as a quantitative measure of fracture healing. Journal of the Acoustical Society of America, 116(4), 2477. Humphrey, V. F., Carroll, N. L., Smith, J. D., Beamiss, G. A., Hayman, G., Esward, T. J., & Robinson, S. P. (2003). Acoustic characterisation of panel materials under simulated ocean conditions. Proceedings of the Institute of Acoustics, 25(1). Humphrey, V. F., Duncan, T. M., & Duck, F. A. (2003). Numerical modeling of harmonic imaging and pulse inversion fields. Journal of the Acoustical Society of America, 114(4), 2436. Humphrey, V. F., Hines, P. C., & Young, V. W. (2003). Performance of a superdirective line array in nonideal environments. Journal of the Acoustical Society of America, 114(4), 2426. Young, V. W., Hines, P. C., Hutt, D. L., & Humphrey, V. H. (2003). Practical application of a tri-axial intensity array. Journal of the Acoustical Society of America, 114(4), 2427. Everitt, S. J., & Humphrey, V. F. (2003). Reverberant calibration of acoustic sources in laboratory tanks: an experimental investigation. Proceedings of the Institute of Acoustics, 25(1). Parry, L. K., Burton, V. J., Gheduzzi, S., Beresford, J., Perry, M. J., Skerry, T. M., & Humphrey, V. F. (2003). Ultrasound mimics the effect of mechanical loading in vivo on rat ulnae and bone marrow cells. Journal of Bone and Mineral Research, 18(Supplement 2), p.S217. Humphrey, V. F. (2000). Tissue harmonic imaging. In P. F. Sharp, & A. C. Perkins (Eds. ), Physics and engineering in the new millenium (pp. 58-64). York, UK: Institute of Physics in Medicine. Humphrey, V., & Brooker, A. (2017). Measurement of the underwater noise footprint of a vessel. Paper presented at 24th International Congress on Sound and Vibration, London, United Kingdom. Beamiss, G. A., Robinson, S. P., Wang, L. S., Hayman, G., Humphrey, V. F., Smith, J. D., & Martin, M. J. (2015). The use of a sparse planar array sensor for measurement of the acoustic properties of panel materials at simulated ocean conditions. 235-242. Paper presented at UACE2015 - 3rd Underwater Acoustics Conference and Exhibition, Greece. Zaghari, B., Humphrey, V., & Moshrefi-Torbati, M. (2013). Dispersion behavior of torsional guided waves in a small diameter steel gas pipe. Paper presented at 19th International Conference on Automation and Computing (ICAC’13), United Kingdom. Wood, M., & Humphrey, V. F. (2013). Modelling of offshore impact piling acoustics by use of wave equation analysis. 171-178. 1st International Conference and Exhibition on Underwater Acoustics (UA2013), Greece. Wang, L., Humphrey, V. F., Robinson, S. P., Theobald, P. D., Lepper, P. A., & Hayman, G. (2011). Measurement of noise source locations in depth from dredging ships with a vertical line array. Paper presented at Fourth International Conference on Underwater Acoustic Measurements, Technologies and Results, Greece. Cooling, M. P., Humphrey, V. F., Theobald, P. D., & Robinson, S. P. (2011). The influence of the acousto-optic effect on LDV measurements of underwater transducer vibration and resultant field predictions. Paper presented at Fourth International Conference on Underwater Acoustic Measurements, Technologies and Results, Greece. Theobald, P. D., Robinson, S. P., Lepper, P. A., Hayman, G., Humphrey, V. F., Wang, L., & Mumford, S. E. (2011). The measurement of underwater noise radiated by dredging vessels during aggregate extraction operations. Paper presented at Fourth International Conference on Underwater Acoustic Measurements, Technologies and Results, Greece. Theobald, P. D., Lepper, P., Robinson, S. P., Hayman, G., Humphrey, V. F., Wang, L. S., & Mumford, S. (2010). Underwater noise measurement of dredging vessels during aggregate extraction operations. Paper presented at 10th European Conference on Underwater Acoustics (ECUA2010), . Cooling, M., Humphrey, V., Theobald, P., & Robinson, S. (2010). Underwater ultrasonic field characterisation using laser doppler vibrometry of transducer motion. Paper presented at 20th International Congress on Acoustics, Australia. Lovegrove Jones, R., Peng, Q., Humphrey, V., Stokes, M., Payne, C., & Constantinou, C. E. (2009). Comparison of the knack and a cough on the pelvic floor: evaluated by 2d real time ultrasound (RTUS) and image processing methods. Paper presented at International Continence Society Annual Meeting, . Lovegrove Jones, R., Peng, Q., Humphrey, V., Stokes, M., Payne, C., & Constantinou, C. E. (2009). Effect of the knack on the pelvic floor: evaluated by 2d real time ultrasound and image processing methods. 662-663. Paper presented at International Continence Society Annual Meeting, . Humphrey, V., Wang, L. S., Jayasundere, N., Papdakis, J. S. (Ed. ), & Bjorno, L. (Ed.) (2009). Modelling and measurement of backscattering from partially water-filled cylindrical shells. Paper presented at Third International Conference on Underwater Acoustic Measurements, Technologies and Results, . Smith, J. D., Robinson, S. P., Humphrey, V. F., Papdakis, J. S. (Ed. ), & Bjorno, L. (Ed.) (2009). Panel transmission measurements: the influence of diffraction (Abstract). Paper presented at Proceedings of the Third International Conference on Underwater Acoustic Measurements, Technologies and Results, Nafplion, Greece, 21-26 June 2009, . Wang, L. S., Humphrey, V., Menon, R., Stacey, P., Lepper, P., Papdakis, J. S. (Ed. ), & Bjorno, L. (Ed.) (2009). Wideband measurement of acoustic scattering from a cylindrical shell using a parametric array. Paper presented at Third International Conference on Underwater Acoustic Measurements, Technologies and Results, . Humphrey, V. F., Robinson, S. P., Theobald, P. D., & Cooling, M. P. (2008). A comparison of hydrophone near-field scans and optical techniques for charaterising high frequency sonar transducers. Paper presented at 9th European Conference on Underwater Acoustics, France. Robb, G. B. N., Hayman, G., Theobald, P. D., Humphrey, V. F., Robinson, S. P., Leighton, T. G., ... Best, A. I. (2008). A method for calibrating hydrophones immersed in sandy sediment. In Proceedings of Acoustics '08 Paris (pp. 1543-1548). Paris, France: European Acoustics Association. Martin, M. J., Hugin, C. T., Robinson, S. P., Beamish, G. A., Hayman, G., Theobald, P. D., ... Humphrey, V. F. (2008). Laboratory panel measurements of underwater acoustic material properties at simulated ocean conditons. Paper presented at Undersea Defence Technology (UDT) Europe 2008, . Humphrey, V. F., & Smith, J. (2008). Panel transmission measurements: The influence of the non plane wave nature of the incident field. In Proceedings of Acoustics '08 Paris (pp. 3673-3678). Paris, France: European Acoustics Association. Humphrey, V. F., Robinson, S. P., Theobald, P., Cooling, M. P., Papadakis, J. S. (Ed. ), & Bjorno, L. (Ed.) (2007). Characterization of high frequency, high amplitude sonar fields using optical measurement of transducer surface velocity (Invited Paper). 399-406. Paper presented at 2nd international conference & exhibition on “Underwater Acoustic Measurements: Technologies & Results”, . Mantouka, A., Leighton, T. G., & Humphrey, V. F. (2007). Enhancement of nonlinearity and parametric sonar using bubbles. In J. S. Papadakis, & L. Bjorno (Eds. ), Proceedings of the Second International Conference on Underwater Acoustic Measurements, Technologies and Results (pp. 577-582). Southampton, UK: Institute of Sound and Vibration Research. Hayman, G., Theobald, P., Robb, G. B. N., Robinson, S., Humphrey, V., Leighton, T. G., ... Best, A. I. (2007). Hydrophone performance in sediment. In J. S. Papadakis, & L. Bjorno (Eds. ), Proceedings of the Second International Conference on Underwater Acoustic Measurements, Technologies and Results (pp. 453-458). Southampton, UK: Institute of Sound and Vibration Research. Robb, G. B. N., Leighton, T. G., Humphrey, V. F., Best, A. I., Dix, J. K., & Klusek, Z. (2007). Investigating acoustic propagation in gassy marine sediments using a bubbly gel mimic. In J. S. Papadakis, & L. Bjorno (Eds. ), Proceedings of the Second International Conference on Underwater Acoustic Measurements, Technologies and Results (pp. 31-38). Southampton, UK: Institute of Sound and Vibration Research. Martin, M. J., Hugin, C. T., Robinson, S. P., Beamiss, G. A., Hayman, G., Smith, J. D., ... Bjorno, L. (Ed.) (2007). The low frequency characterisation of underwater material properties in a pressure vessel via single, dual and multiple hydrophone techniques. 413-420. Paper presented at 2nd International Conference on Underwater Acoustic Measurements, Technologies and Results, . Theobald, P., Robinson, S., Hayman, G., Beamiss, G., Wang, Y., Humphrey, V., & Cooling, M. (2006). Field mapping of sonar arrays using an acousto-optic method. 805-810. Paper presented at Proceedings of the 8th European Conference on Underwater Acoustics (ECUA 2006), . Cooling, M. P., Humphrey, V. F., Robinson, S. P., & Theobald, P. D. (2006). Optical measurement of acoustic fields in water. 736-744. Paper presented at Institute of Acoustics Spring Conference, Futures in Acoustics, Today's Research - Tomorrow's Careers, Southampton,UK, 3-4 April 2006, . Martin, M. J., Hugin, C. T., Robinson, S. P., Beamiss, G. A., Hayman, G., & Humphrey, V. F. (2006). The measurement of low frequency underwater material properties via a sound intensity technique. In Proceedings of UDT Europe 2006 Swanley, UK: Nexus Business Media. Humphrey, V. F., Cooling, M. P., Duncan, T. M., & Duck, F. A. (2006). The peak rarefactional pressure generated by medical ultrasound systems in water and tissue: a numerical study. In Proceedings of the 2006 IEEE International Ultrasonics Symposium (pp. 1604-1607). USA: Institute of Electronic and Electrical Engineers. Robinson, S. P., Theobald, P. D., Hayman, G., Beamiss, G. A., Humphrey, V. F., Cooling, M. P., & Wang, Y. (2006). The use of optical techniques to map the acoustic field produced by high frequency sonar transducers. 726-735. Paper presented at Institute of Acoustics Spring Conference 2006: Futures in Acoustics: Today's Research - Tomorrow's Careers, . Humphrey, V., Robinson, S., Theobald, P., Hayman, G., Gélat, P., & Cooling, M. (2006). Use of optical techniques to characterise high frequency sonar transducers by measurement of surface velocity. 629-634. Paper presented at Proceedings of the 8th European Conference on Underwater Acoustics (ECUA 2006), . Humphrey, V. F., Robinson, S. P., Theobald, P. D., Hayman, G., Gelat, P. N., & Thompson, A. D. (2005). Comparison of optical and hydrophone-based near field techniques for full characterisation of high frequency sonars. 457-464. Paper presented at Proceedings of the International Conference on Underwater Acoustic Measurements, Technologies and Results, Heraklion, Crete, 28 Jun-1 Jul 2005, . Humphrey, V. F., Hines, P. C., & Young, V. (2004). Experimental analysis of the performance of a superdirective line array. 1033-1038. Paper presented at Proceedings of the Seventh European Conference on Underwater Acoustics, Delft, Holland, 5-8 July 2004, . Humphrey, V. F., Jayasundere, N., Chinnery, P., & Dench, M. (2004). Experimental and theoretical studies of scattering by partially fluid filled cylindrical shells. 463-468. Paper presented at Proceedings of the Seventh European Conference on Underwater Acoustics, Delft, Holland, 5-8 July 2004, . Humphrey, V. F., Hayman, G., Robinson, S., & Gelat, P. (2004). Forward and back propagation of wavefields generated by large aperture transducers. 1045-1050. Paper presented at Proceedings of the Seventh European Conference on Underwater Acoustics, Delft, Holland, 5-8 July 2004, . Hines, P. C., Young, V., & Humphrey, V. F. (2004). Measured performance of a superdirective line array under non-ideal conditions. 41-50. Paper presented at Proceedings of the Institute of Acoustics, . Adamson, J. E., Fenwick, A. J., & Humphrey, V. F. (2004). Transmission of a chaotic signal through a flat plate. 1053-1058. Paper presented at Proceedings of the Seventh European Conference on Underwater Acoustics, Delft, Holland, 5-8 July 2004, . Duncan, T., Humphrey, V. F., & Duck, F. (2003). A numerical comparison of nonlinear indicators for diagnostic ultrasound fields. In Proceedings of the World Congress on Ultrasonics 2003 (pp. 85-88). World Congress on Ultrasonics. Humphrey, V. F. (2003). Non-linear propagation for medical imaging. In Proceedings of the World Congress on Ultrasonics 2003 (pp. 73-80). World Congress on Ultrasonics. Esward, T., Humphrey, V. F., Evans, L., Beamiss, G., & Hayman, G. (2002). Acoustic characterisation of panel materials in simulated ocean conditions using the NPL acoustic pressure vessel. 665-670. Paper presented at Proceedings of the Sixth European Conference on Underwater Acoustics, . Humphrey, V. F. (2002). Parametric arrays: laboratory applications in underwater acoustics. Paper presented at 6th European Conference on Underwater Acoustics, . Cahill, M. D., & Humphrey, V. F. (2002). The effect of nonlinear propagation on heating of tissue: numerical modelling and experimental measurement. 1395-1398. Paper presented at 2002 IEEE International Ultrasonics Symposium, . Humphrey, V. F., Robinson, S. P., Theobald, P. D., Hayman, G., & Cooling, M. P. (1970). A comparison of hydrophone near-field scans and optical techniques for characterising high frequency sonar transducers. 3436-3437. Paper presented at 9th European Conference on Underwater Acoustics ECUA2008, France. Lepper, P. A., Robinson, S. P., Humphrey, V. F., & Butler, M. A. (2014). Underwater acoustic monitoring at wave and tidal energy sites: guidance notes for regulators. Stromness, GB: European Marine Energy Centre (EMEC). Robb, G. B. N., Leighton, T. G., Humphrey, V. F., Best, A. I., Dix, J. K., & Klusek, Z. (2007). Investigating acoustic propagation in gassy marine sediments using a bubbly gel mimic. (ISVR Technical Report; No. 315). Southampton, UK: University of Southampton.